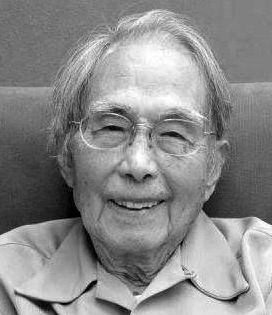 MADISON - Joseph B. Ishikawa died at his Madison home on April 14, 2017, after a complete life of 97 years. Joe was born in 1919 in Los Angeles to Rintaro and Mura (Shimatani) Ishikawa, both immigrants from Hiroshima. In 1939 and 1940, Joe studied in Japan. He was harassed by the police after he wrote a magazine article urging an end to Japan's occupation of Manchuria. He was overjoyed to return to the United States. He received his bachelor's degree from UCLA, where he also lettered in wrestling. On the evening of Dec. 7, 1941, he tried to enlist in the army. He was turned down. Shortly afterward, he was incarcerated at the Santa Anita Assembly Center and then transferred to the Granada (Colorado) War Relocation Center. Following his release he resumed his education at the University of Nebraska, where he met the love of his life, Olivia Brandhorst. Joe's year in Japan and incarceration at home turned him into an enemy of fascism and injustice. But he never played the part of the victim. He successfully organized a campaign in 1946 to desegregate the Lincoln, Neb., public swimming pools. Less successfully, he was Nebraska chairman of socialist Norman Thomas's 1948 presidential campaign. Joe had a distinguished career as curator of the Sheldon Museum of Art at the University of Nebraska, assistant director of the Des Moines Art Center, and as director of the Sioux City Art Center, the Wright Art Museum at Beloit College, and the Kresge Museum of Art at Michigan State University, where he was a full professor. He also coached wrestling at Beloit College. He and Olivia retired to Verona, Italy, in 1989, where they lived until relocating to Madison in 2009. They celebrated their 65th anniversary last June. Four days before his death, he and Olivia went on their last date, Sunday brunch followed by the symphony. Joe was a thoughtful, gentle and kind person who faced adversity with stoicism and humor. He loved friends, cooking, story-telling, travel, literature, music, and art. He was a devoted and loving husband, father, grandfather, and uncle. He is survived by his wife, Olivia; his children, Bruce (Maria), Jesse (Nancy), Chiyo (Mark), Kimi (Chip) and Ross (Edith); and by his grandchildren, Mike, Simone, Beth (Jared), Barry, Jack, Lucy, Tad, Alan, Zoltan and Tomo. He was predeceased by his parents; sisters; brothers; his infant daughter, Toki; and his grandson, Nap. A celebration of Joe's life will be held at the DALE HEIGHTS PRESBYTERIAN CHURCH, 5501 University Ave., Madison, on Tuesday, April 25, 2017, at 1 p.m.
the life of: Ishikawa, Joseph B.